ONLY WHAT YOU NEED TO KNOW ENROLLING INTO A MEDICARE HEALTH PLAN Enrolling into Medicare does not have to be a complex subject. This workbook educates you in 4 simplified steps on what you need to know to make an informed decision on enrolling in a Medicare based insurance plan. Social Security will enroll you into Medicare but that will ONLY cover 80% of your healthcare costs. This workbook will guide you through your Medicare options for enrolling into a secondary Medical insurance plan to cover the additional 20% that is not covered by Medicare and your prescription drug costs. Understand your Medicare enrollment deadlines that could impact when or how you take your Medicare benefits. For those that cannot afford the high costs of healthcare this workbook will walk you through the various government and private financial assistance programs available. Lisa Lin, graduated from University of San Francisco in 2000. She has worked in the Marketing industry as a Marketing Executive for numerous Medicare Insurance Agencies. Her experience and passion in the industry inspired her to write the book Medicare Simplified. 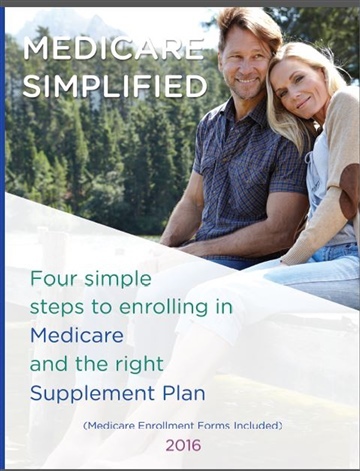 ONLY WHAT YOU NEED TO KNOW ENROLLING INTO A MEDICARE HEALTH PLAN is what the work book Medicare Simplified provides to each reader. Enrolling into Medicare does not have to be a complex subject. This workbook educates you in 4 simplified steps on what you need to know to make an informed decision on enrolling in a Medicare based insurance plan. Social Security will enroll you into Medicare but that will ONLY cover 80% of your healthcare costs. This workbook will guide you through your Medicare options for enrolling into a secondary Medical insurance plan to cover the additional 20% that is not covered by Medicare and your prescription drug costs. Understand your Medicare enrollment deadlines that could impact when or how you take your Medicare benefits. For those that cannot afford the high costs of healthcare this workbook will walk you through the various government and private financial assistance programs available.